Lions Clubs International Foundation seeks a Manager of Marketing and Communications to oversee a cross-functional team of marketers, designers, data analysts, and communication professionals to ensure that the Foundation’s message and campaigns are properly executed. For more than 100 years, Lions has delivered on this mission through the service of 1.4 million Lions members around the world, working with 47,000 clubs in more than 200 countries and regions. 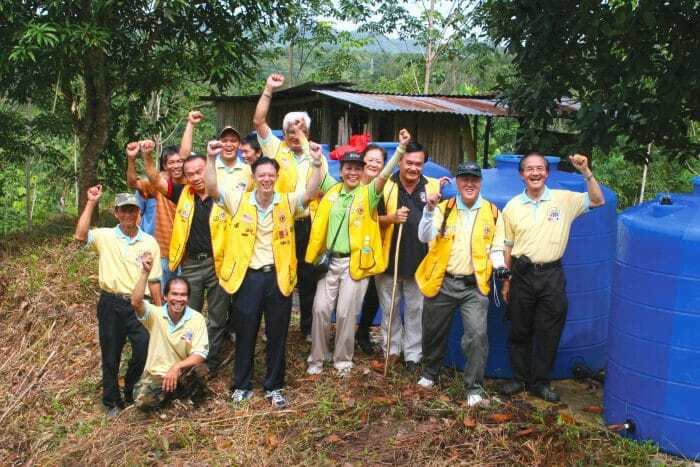 Through the Lions clubs, individuals give their valuable time and effort to improving their communities, and the world. Although Lions has accomplished so much during its history of service, it is committed to expanding its impact over the next 100 years and more. Lions Clubs International Foundation (LCIF) was established in 1968 with the mission “to support the efforts of Lions clubs and partners in serving communities locally and globally, giving hope and impacting lives through humanitarian service projects and grants.” Today the Foundation has awarded more than $1 billion in grants. Although LCIF’s first 50 years has provided an enormous amount of support for Lion service worldwide, it is now looking forward to funding the organization’s life-changing service on an even broader scale. Vision – Preventing avoidable blindness through their SightFirst program, which has provided 9+ million cataract surgeries, 270+ million river blindness treatments, and training for 3+ million health workers. Youth – Creating social and emotional learning programs delivered by specially trained educators through the Lions Quest program, benefitting 16+ million youth worldwide. Disaster Relief – Providing US $118+ million, to date, for immediate as well as long-term needs of natural-disaster-afflicted communities. Humanitarian Programs – Helping millions access education, technology, health care, safe play places, and other life-changing improvements. As Lions seeks to increase impact in its core service areas and expand its global causes to diabetes, hunger, childhood cancer and the environment, LCIF will be there to empower their service. At this time, LCIF is entering the most ambitious fundraising effort in its history; Campaign 100 will span three years and seek to raise US $300 million. The success of the campaign will enable Lions to serve more than 200 million people each year. Based in LCIF’s main office in Oak Brook, IL a Chicago suburb, and reporting to LCIF’s Chief of Philanthropy, the Manager of Marketing and Communications will plan, develop, design, and implement the strategic and tactical marketing and communications activities of the Foundation. The Manager of Marketing and Communications will lead a staff of five in the United States and coordinate with individual staff members in India and Japan. Campaign 100 will be a major focus of LCIF, and the Marketing and Communications team will provide support through the development of communications and marketing strategy, digital and print materials, and high-level presentations. This will be in support of the LCIF leadership, Chief of Philanthropy, and 20 fundraisers based in Illinois and India working with a multitude of volunteer Lions. Assists in the development and implementation of the Foundation’s global marketing and communications strategy. Responsible for creating, implementing, and measuring the success of comprehensive marketing and communication programs promoting the Foundation to members, partners, and the general public. Collaborate with LCIF development and programs managers to create marketing and communication programs which support both fundraising and cause-related objectives. Work with the Lions Clubs International marketing department to coordinate marketing programs and resources. Manage the editorial calendar for Foundation-based promotions, email communications, promotional/marketing materials, program launches, and more. Manage all aspects of the marketing and communication function including but not limited to print, web, mobile, and social media. Manage content creation and distribution including copywriting, design, translation and customization of videos, web pages and microsites, magazine articles, blog posts, brochures, power point presentations, social media posts, and more. Responsible for the representation of the LCIF brand in partnership with and at the direction of the LCIF Chief of Philanthropy. Under the direction of the Chief of Philanthropy, serve as the liaison to the marketing committee of the LCIF Board of Trustees, primary marketing point of contact for the Campaign International Committee, and other management staff. Support Lion leaders at both the international and club level with speeches, talking points, and presentations. Manage the hiring of outside vendors for select project work in the areas of graphics, writing assignments, etc. Work closely with Fundraising team to ensure all messaging, marketing, and collateral is appropriate for current and potential donor audiences. Manage department operations by developing schedules, assigning and monitoring work, gathering resources, implementing productivity standards, and resolving operational problems. Maintain professional knowledge in the area of Foundation and nonprofit marketing and communications and knowledge of international relations by attending workshops, reviewing professional publications, and participating in professional organizations as appropriate to field. With guidance from Chief of Philanthropy, develop annual department budget and manage expenses within established guidelines. Manage employees including recruitment, work assignments, development, and performance management. Development Guild DDI is a proud member of the Association of Executive Search and Leadership Council. To learn more visit the AESC website and read Our Search Standards. We invite you to submit your resume and cover letter to be considered for this position. To view other current open positions, please visit our Current Searches page.